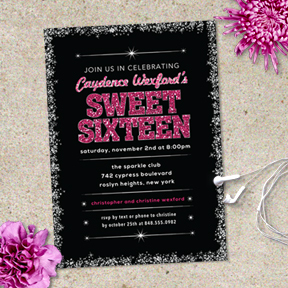 Not every Sweet 16 is a girly girl while there are those who revel in all things pink and sparkly. 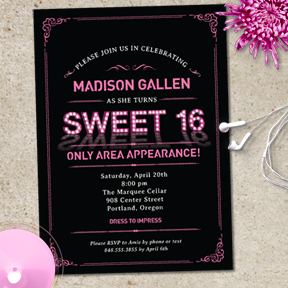 Whatever they prefer, reflect their persona with invitations that show off her personality and/or interests. 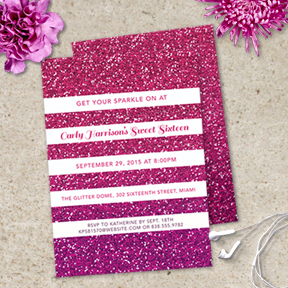 Anything you need for her day, from invites to cards to stickers to favor tags, we’ve got it covered.